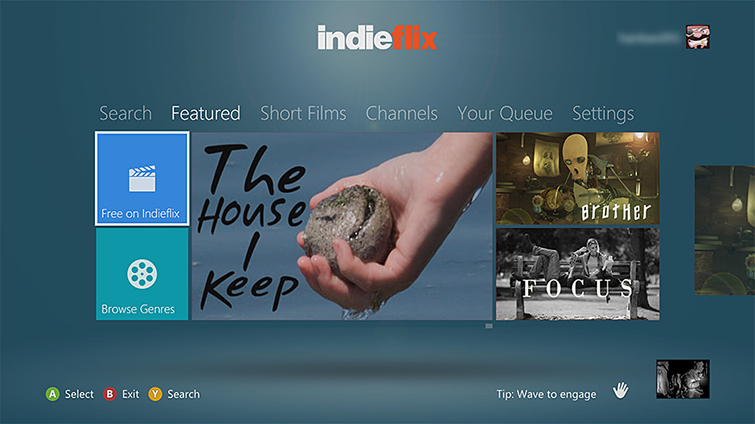 To start the IndieFlix app later, go to Video, My Video Apps, and then IndieFlix. When you select content, follow the prompts that direct you to go to indieflix.com/xbox/ to associate your console and Xbox Live gamertag with your IndieFlix account. Watch any of the content displayed in the center of the hub. Your Queue – This hub displays content you've added to your queue for later viewing, and also content that you've recently watched. 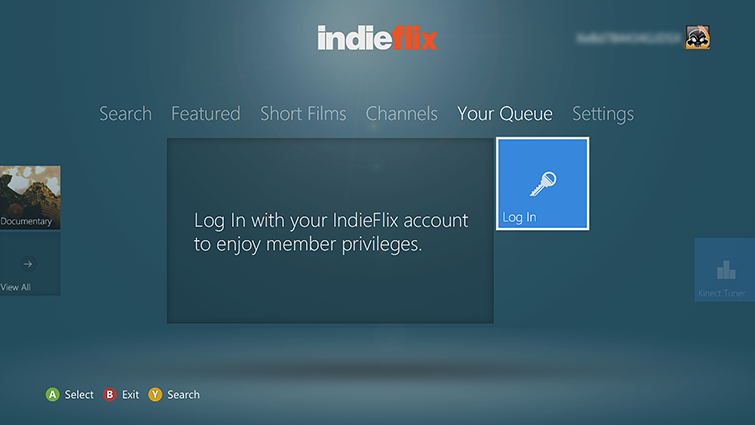 Note Until you activate your IndieFlix app, this hub will display a log-in screen. After you activate the app, the log-in screen won't appear again. 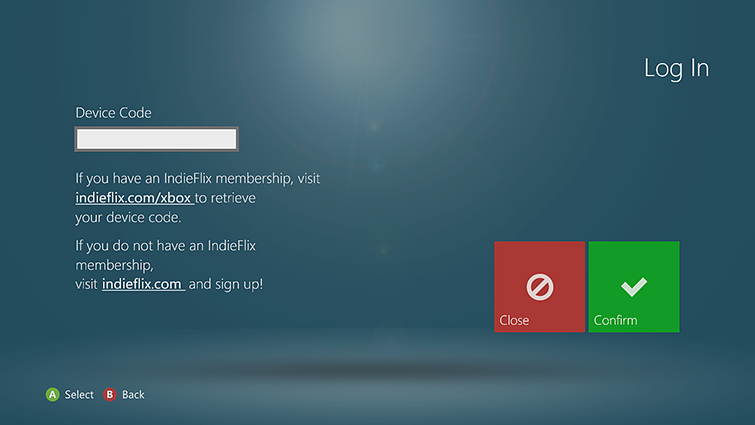 On your trusted PC or other Internet-enabled device, go to indieflix.com/xbox and sign in using your Facebook or IndieFlix account credentials, or create a new IndieFlix account. After you've signed in or created your new account, an activation code will display. At the Log In screen, in the Device Code box in the upper-left corner, enter the activation code displayed on your trusted PC or other Internet-enabled device, and select Confirm. 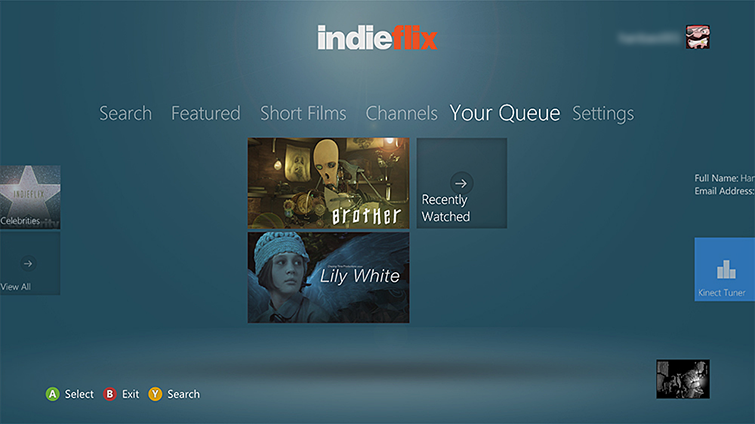 ¿Quieres contactar con el Soporte técnico con referencia al problema "Set up the IndieFlix app on Xbox 360" acerca del que estabas leyendo o con referencia a otro problema?